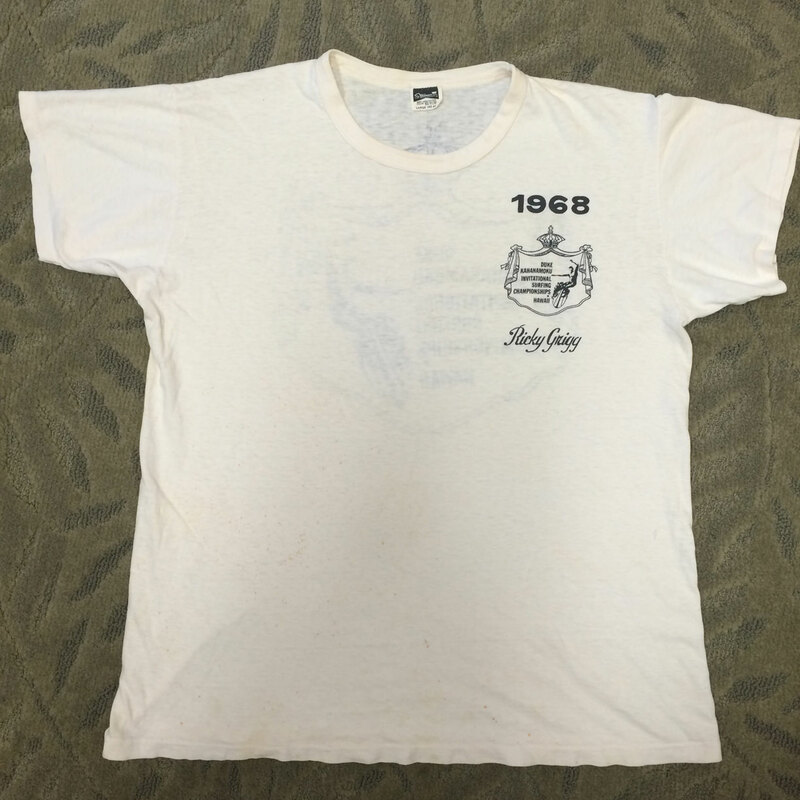 Molly Vasquez from La Jolla donated this 1968 Duke Invitational contest tee, belonging to the late Ricky Grigg, winner of the 1966 Duke contest. Grigg was a standout in the early North Shore teeth-cutting scene of the late ’50s and early ’60s, before he took the plunge into academia; he earned a bachelor’s degree from Stanford, a master’s degree from the University of Hawaii, and a PhD from the Scripps Institution of Oceanography. Grigg then settled into a nice long career as a professor in the University of Hawaii’s Oceanography Department, a post he began in 1970, and in which he focused much of his research on coral reef formation. He continued to surf near his home on Oahu well into his 70s. 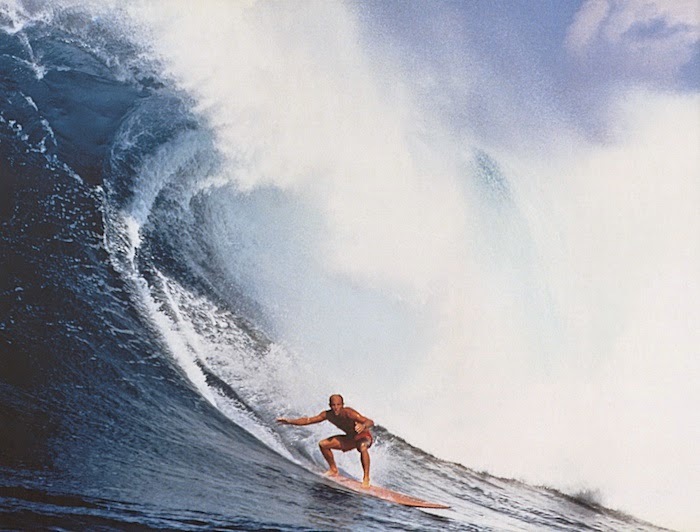 Grigg, was a confident regularfooter from Honolulu, Hawaii and sometimes referred to as the first big-wave hotdogger. Grigg was born (1937) in Los Angeles, raised in Santa Monica, began surfing at age nine, and by the early ’50s was one of the hottest young surfers at Malibu. In 1955 Grigg won the first annual Catalina-to-Manhattan Beach paddleboard race, a 32-miler that would come to stand as paddleboarding’s supreme test. Grigg passed away on May 21, 2014. You can read more about Grigg HERE.